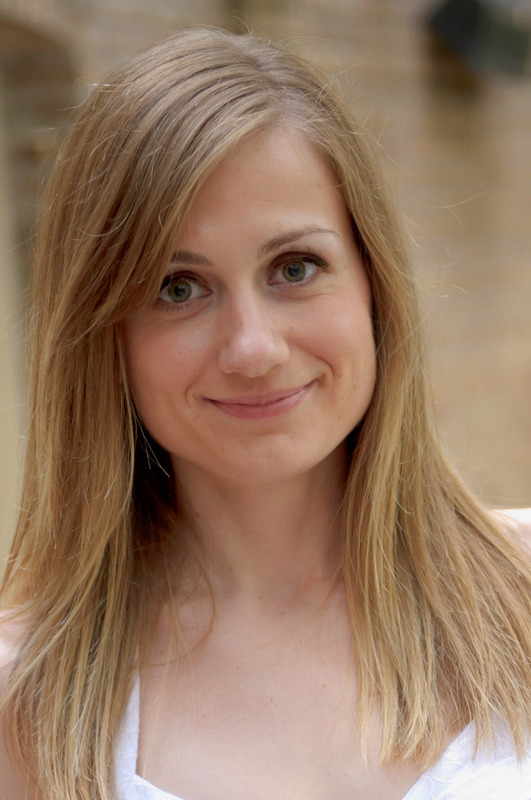 Blerta Shtylla’s research lies at the interface of mathematics and biology. Her primary research goal is to construct and analyze mathematical models that provide insight into biological phenomena that are not fully understood from experimental measurements. Her research is primarily motivated by scientific questions that arise in cell and molecular biology, with a focus on cell cytoskeleton mechanics and intra-cellular pattern formation. One of the main questions driving her research program is how cells attain precise global properties at the nanoscale while employing localized mechanisms that are constantly perturbed by noise. For example, during cell division (mitosis) the generic material of a mother cell must reach the middle of the cell and get pulled apart into two equal parts: an interesting question that modeling can address is how mechanical and biochemical cues are coordinated to reach such a state without error. Understanding these mechanisms is extremely important since a break down in the chain of cell division control, for example, can lead to significant problems such as cancer. This type of interdisciplinary work is exciting in that it requires frequent collaboration with biologists, physicists for proper model development. The goal is to develop models that not only allow us to test scientific hypothesis, but also can make useful predictions that can be tested in the laboratory. From a mathematical standpoint, Dr. Shtylla uses a variety of approaches, with a focus on employing stochastic differential equations and systems of nonlinear ordinary and partial differential equations. Model analysis requires the employment of various applied mathematics tools and techniques which fall within the realm of dynamical systems, bifurcation theory, stochastic processes, asymptotic and perturbation methods, numerical analysis and simulation. C. Xue, B. Shtylla, and A. Brown. A Stochastic Multiscale Model that Explains the Segregation of Axonal Microtubules and Neurofilaments in Neurological Diseases, 2015, to appear in PLoS Computational Biology. B. Shtylla and J. P. Keener. Mathematical modeling of bacterial track-altering motors: Track cleaving through burnt-bridge ratchets , 2015, Physical Review E 91, 042711. J. P. Keener and B. Shtylla. A mathematical model of force generation by flexible kinetochore-microtubule attachments, 2014, Biophysical Journal 106(5): 998-1007. A. Sharma, B. Shtylla and D. Chowdhury. Distribution of lifetimes of kinetochore-microtubule attachments: interplay of energy landscape, molecular motors and microtubule (de-)polymerization, Physical Biology, 2014, 11, pp. 036004. A. Matzavinos, B. Shtylla, Z. Voller, S. Liu, and M. A.J. Chaplain. Stochastic modelling of chromosomal segregation: Errors can introduce correction, 2014, Bulletin of Mathematical Biology.